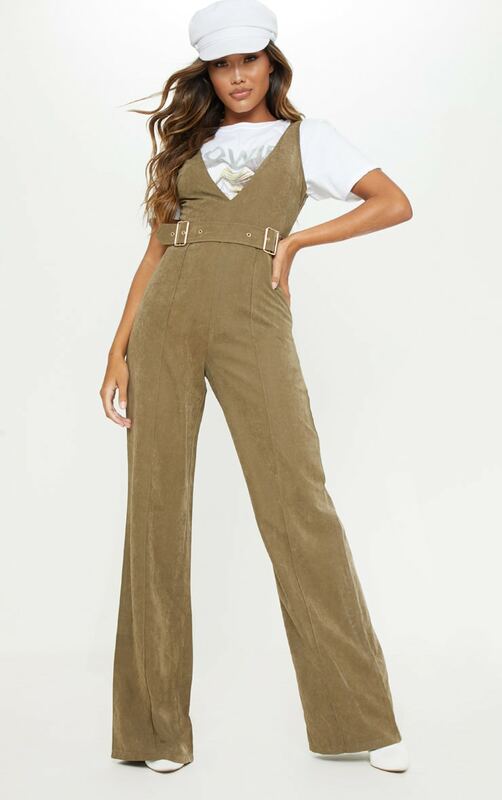 Who said jumpsuits were boring? 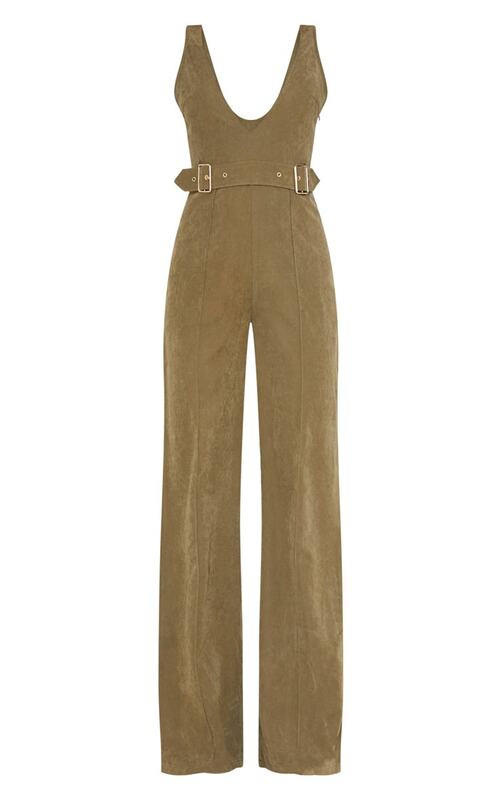 Featuring a khaki soft touch fabric with a belted detail, plunging neckline and wide leg fit, you can't go wrong. 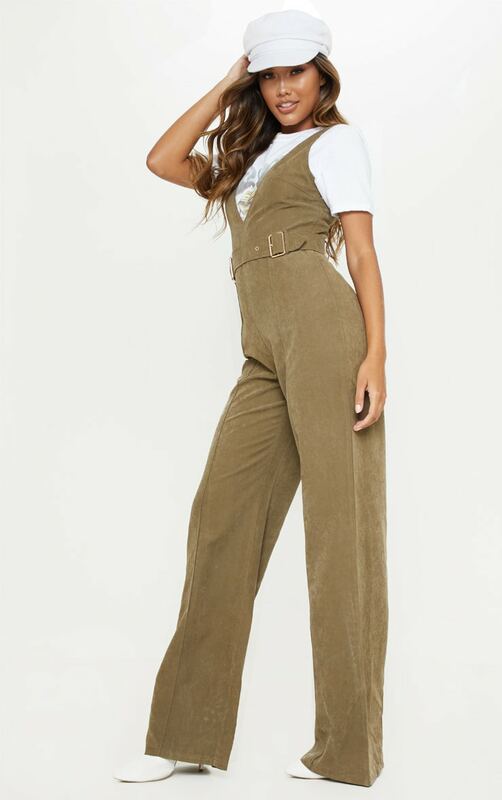 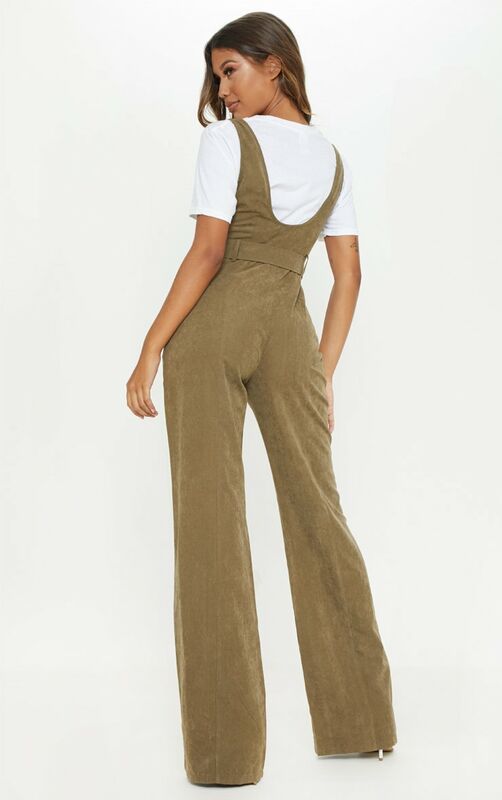 Dress this jumpsuit down and style over a white tee with white boots or dress it up alone with barely there heels and statement accessories.